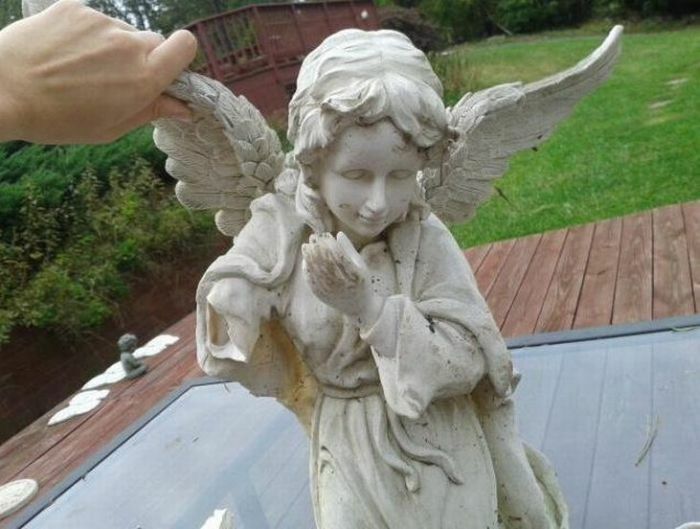 This statue of an angel stood near a house door. 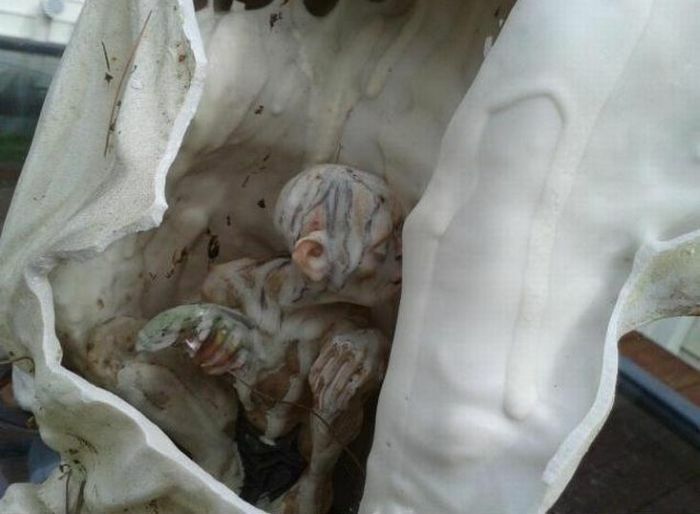 One day a dog broke its wings and the statue's owners discovered a creepy secret inside it. Ive got that statue. its smeagol from Lord of the Rings he came with one of the DVD special edition of Two Towers released in 2003. 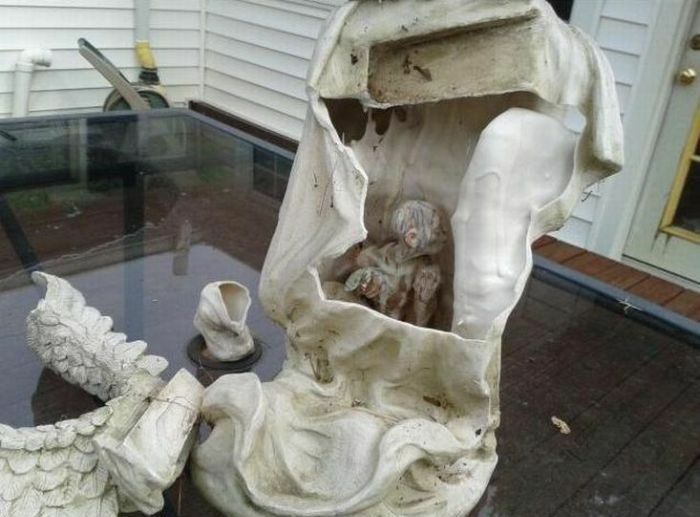 My guess is he was put inside to add weight to what is a fake Angel statue. Not so precious after all, this statue.